Office space prices ranging from ₹7000 - ₹27000 per month. This formal office space is strategically located just two minutes away from major public transportation links to make your daily commute as quick as possible. Offering complete flexibility in the form of both open-plan and private offices, this space provides a wide range of amenities including administrative support, fully equipped kitchen space, a manned reception area and WiFi. 24-hour access means you can work on your terms - no need to wait for anyone to be in the office first. 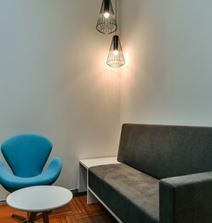 A trendy office space with a plush interior design. Beverages are on hand to keep you fuelled and hydrated. There is a cafe with many options to choose from. Plenty of natural light reaches the space through the large windows. Enjoy high-speed internet, laser printing, video conferencing and video projection. Situated on Acharya Jagadish Chandra Bose Road, in a dynamic neighbourhood. The closest bus stop is one minute walk from the space. For those travelling in by car, there is parking available at the space. In the surrounding area there are a number of shops, cafes and restaurants. There are also a number of hotels and banks. Keep fit at Rave Fitness Studio, just one minute walk away. Housed in a modern building in the main business district of the city, this serviced office centre provides a variety of office spaces in a mixed development which also features hotels, a cinema and a great selection of retail. 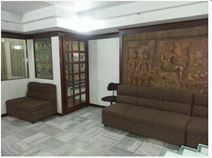 Just 0.75km from the nearest metro station these fully furnished professional office spaces and executive private suites are ideal for start-ups and multinationals alike and are centrally located in the heart of Kolkata"s Central Business District. With an unbeatable location in the centre of South Kolkata, these leased offices provide a combination of excellent facilities and outstanding amenities. 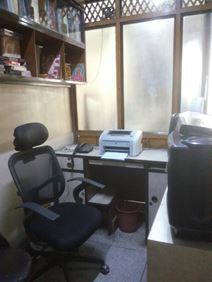 All the offices are air-conditioned for your convenience, and also have the latest telecommunication systems. Both the domestic and international airports are only a short drive away whilst the Eastern Metropolitan Bypass connects to other parts of the city centre and also the IT suburb of Salt Lake City. Some of Kolkata's affluent residential areas (Alipore and Ballygunge) are quite close by. The centre is in the central business district area of Dalhousie. 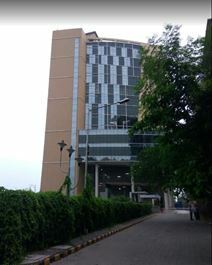 The centre is located near to BBD Bag Train station. The centre provides 24 hour security, administrative support, IT support, reception services, telephone answering, shared internet and WIFI for your office use. The centre is surrounded by school, college, wholesale market, bazaar, metro station and bus station which provide a good access for your working day. This space offers coworking and private office options. Enjoy a wide variety of food and beverage options at the onsite cafe/ restaurant. There is an onsite management team who are there to assist with any requirements. Comfortable meeting rooms are available, which come equipped with TV screens and whiteboards. High speed internet ensure your business operations run efficiently. Situated in the second IT hub of Kolkata, in New town, Rajarhat. Major IT companies are located nearby. Some of these include; Phillips, IBM, and Accenture. In the surrounding area, there are a selection of fast-food joints and restaurants. For those who travel to work by car, there is onsite parking available. There are also several bus stops nearby. 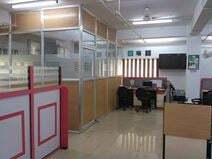 Offices for lease are available with excellent transport options - easy accessibility via car and public transports (bus, metro and train) with Sealdah Railway Station being within an hour drive from the office. The offices have been recently refurbished and offer stylish working desks, expansive meeting rooms and high-speed broadband. It enjoys a strategic location along A.J.C. Bose Road in the heart of Kolkata and nearby Jimmy's Kitchen Chinese Restaurant, Flavours of India Indian Restaurant and also Kalamandir, the famous Auditorium of Kolkata. Kolkata is full of reminders of the British Raj like the Victorian Memorial which tells the story of British Capital India prior to it's move to Dehli. Considered as India’s intellectual and cultural capital, the center boasts an ideal location, right in the heart of the business and commercial district with exclusive access to shopping areas and restaurants, railway station and airport. Offering world class offices as well as a variety of conference and meeting rooms to meet your business needs. Helping you with your growth story whether you are an Indian or international corporate houses or an entrepreneurs, this company will prove to be a true partner. Well connected to public transportation with a two-minute walk to the nearest bus stop and ten-minutes by walk to the closest train station. You will get the space you need in terms of cabins and workstation and to boost your business they would also be taken care of any changes to your requirements in the future. Take your stuff to the plug and play environment and meet investors, clients, vendors and partners all in your workstation. A quirky office space, with lots of wooden fixtures and flooring. Postal and mail handling is available. NFC based access cards and CCTV ensure a high level of security. Tea, coffee, and printing credits are offered on a complimentary basis. Conference rooms are available to book. Situated on Park Street, next to Allen Park. It is a 7 minute walk to Bata light railway station, and a 17 minute walk to Park Street metro station. In the surrounding area, there are bars and restaurants, where you can enjoy a bite to eat or entertain guests. Hotels, shops, and banks can also be found nearby. 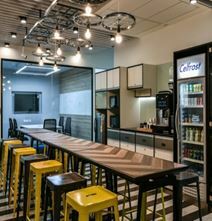 With the option to increase and decrease workstations at any point this flexible plug-and-play workspace is ideally located two minutes from the mainline railway station and right opposite the Acropolis Mall. The ideal space for members to leverage the vast network that the centre has created for potential investors, clients, vendors and partners. Modern and fully-furnished, with 125 workstations and 3 meeting rooms. Plenty of natural light reaches the space through the large windows. The interior is bright and colourful. Printing credits, tea and coffee are given out on a complimentary basis. Enjoy a wide variety of food and drink options at the onsite restaurant. Situated in Salt Lake City, in a hub of IT development. The closest bus stop is just one minute stroll from the centre, and it is a 22 minute walk to Sector V Metro Station. Moments walk from the space you will find many cafes, bars and restaurants. There are also several banks and hotels. Based on the first floor of a heritage building on Shakespeare Sarani Road these offices provide access to restaurants and shops nearby and meeting room and 24-hour access within the building. Conveniently located in Salt Lake, Sector 3, this space offers the opportunity to work in a fully-furnished "plug and play" environment. Whether you want to work collaboratively in the open-plan coworking area, or work exclusively with your team in your own private office space, you can have everything you need here. A quick walk will get you to the bus stop at Chingrihata and the Big Bazaar is just a two minute drive. Modern fixtures and fittings are paired with a trendy interior. Private offices and co-working options are available. Desk are accompanied by a set of lockable drawers. Access to the space can only be obtained by NFC based cards and there is also CCTV. The onsite cafe has a great selection of snacks, food and beverages. The onsite management team are on hand to help with any requirements. Located on Sir William Jones Sarani, next to the dynamic Camac Street. There are a number bus stops within five minutes' walk of the space. and it is an 8 minute walk to Bata light railway station. In the vicinity, you can find sops, restaurants and banks. The Centre is well connected to public transportation and has also parking available on the site. It is a well furnished workspace located in a commercial place for IT and other environment. The offices offer you a beautiful view of the water bodies and building in the far background. Furthermore it has big lifts and wheel chair access as well as they offer support services if you should need any help. This is a superb building strategically located just a short walk from Mahatma Ghandi Metro station. With prestigious neighbours, this centre provides flexible offices to suit the needs of your business. Offering everything a company could want in Calcutta's Victoria Park, this spaces allows you the opportunity to work alongside multiple creative outlets, to collaborate and innovate within the walls of your business's new home. If independent working is more your style, the comfortable private offices offer you the best of both worlds. The centre's proximity to local transport links will make your daily commute a breeze - main roads are nearby and a metro station is only seven minutes away by car.